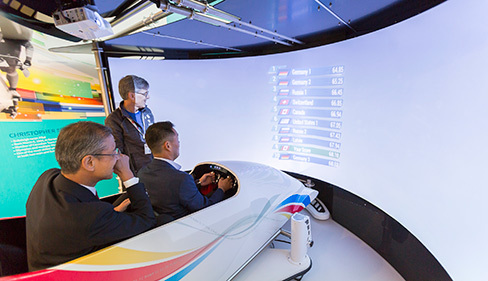 Be among the first in the world to experience our state-of-the-art Olympic and Sport simulators, each developed so that the visitor can experience what a world-class athlete experiences as they compete on the international stage. 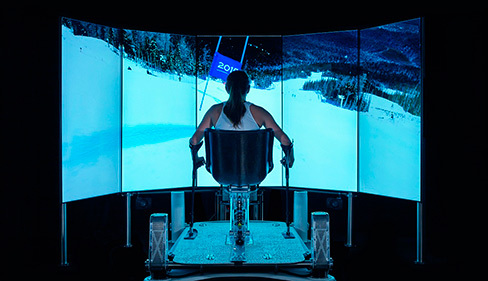 Feel the speed of the Vancouver 2010 Olympic bobsleigh course as you challenge actual Olympic run times for the gold! 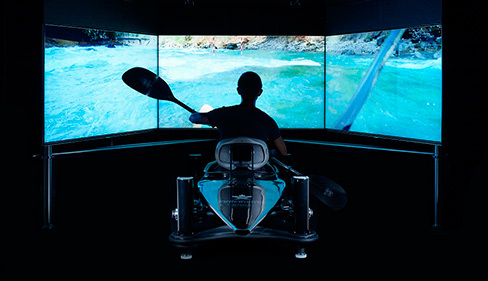 Hang onto your paddle as you plunge down the raging whitewaters of the Chilliwack River, dodging through gates at competition speeds. Try to hold your edge on just one ski as you rocket down the National Paralympic Team’s training course in Nakiska, Alberta. 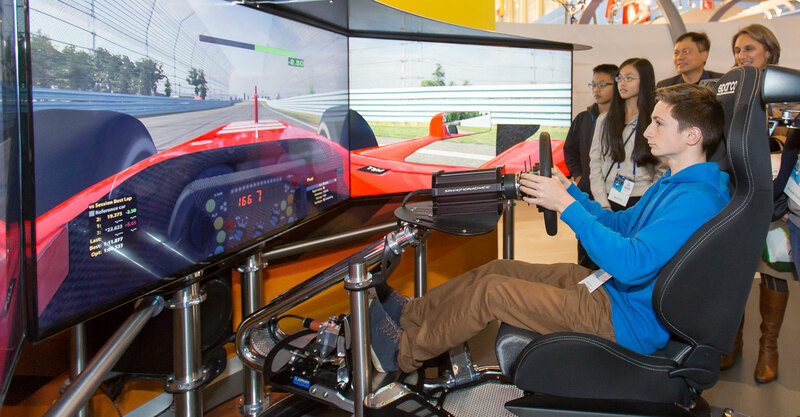 Drive a precision tuned Formula 1 race car and experience the fine balance between maximum speed and keeping your car in one piece. * – riders must be a minimum of 5-feet tall. 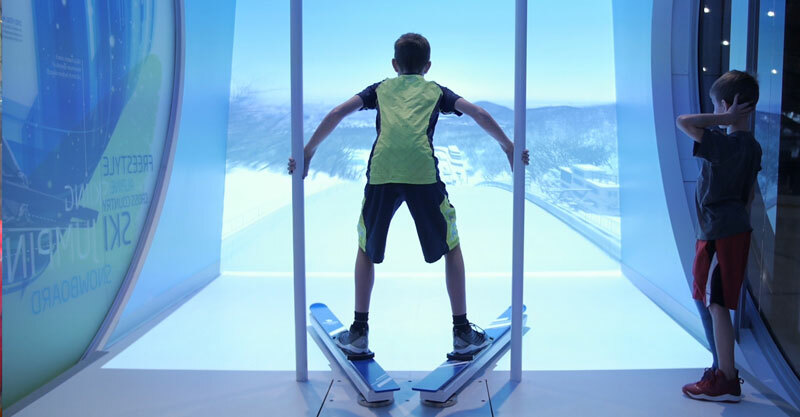 Feel the rush of Olympic Ski Jumping as you attempt to fly a distance of over two city blocks at launch speeds reaching 100 km/hr.